Here is a lovely festive edition of The Book Trail. Whilst this is not a traditional edition of the series, in that I have not used the ‘Readers Also Enjoyed’ tool on Goodreads in order to generate this list, it showcases eight fantastic Christmas books which I would highly recommend. Have you read any of these? Which is your favourite Christmas book? 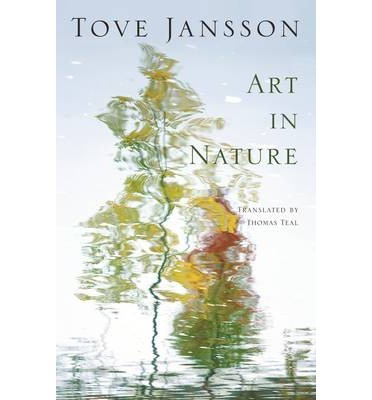 The entirety of Art in Nature and Other Stories has been translated from its original Finnish by Thomas Teal, who won the Rochester Best Translated Book Award in 2011. This prize sets him in wonderful stead to translate one of Finland’s finest authors and to introduce more of her stories to a wider readership. Art in Nature and Other Stories comprises eleven short stories, all of which are mesmerising from the outset. The title story, ‘Art in Nature’, tells of a ‘very old’ caretaker who has been put in charge of looking after a large art exhibition when it closes each night. He works alone through ‘the long, lonely evenings’, finding solace in the peace around him. One night he comes across a man and woman who have made their way into the exhibition past closing time. Rather than throw them out as protocol dictates, an impassioned and rather surprising discussion about art ensues. The stories themselves are all rather varied, but there are many which feature protagonists who are artists or are involved with art in some way – a sculptor, a cartoonist, an actress and a writer of children’s books, amongst others. A story entitled ‘The Doll’s House’ follows an upholsterer with a love of classic novels ‘which enchanted him with their heavy patience’, who constructs an elaborate wooden house, assembling it bit by bit: it ‘would be allowed to grow however it wished, organically, room by room’. The characters in every story are beautifully portrayed. All are well-developed and feel like real, fully fleshed out people, and not a single one feels as though their construction has been rushed. Many touches of autobiography can be found throughout. Jansson’s prose is absolutely and often startlingly beautiful. She describes everyday scenes with such deftness and skill that it feels as though we are viewing the scenes afresh. The reader is essentially given a new perspective through Jansson’s words, in which the wonders of the world are evident. In ‘Art in Nature’, she describes how the sculptures in the exhibition ‘grew up out of the grass, huge dark monuments in smooth incomprehensible formlessness or in tangled convulsions, challenging and disturbing’. The ideas woven throughout the majority of the stories are just lovely. A group of young people in ‘White Lady’ are described as being ‘like a flock of birds… that settle for a moment, for as long as it suits them’. Ali Smith, one of my favourite all-time authors (as Jansson is too), states ‘that there can still be as-yet untranslated fiction by [Tove] Jansson is simultaneously an aberration and a delight, like finding buried treasure’ – a sentiment which could not be more true. To build up such rich, detailed stories within just a few pages as Jansson does here is masterful, and Teal’s translation of her work is faultless. Art in Nature and Other Stories is a pure delight from beginning to end. It is an absolute joy to read and certainly reaffirms Jansson’s position as a wonderful storyteller and a master of her craft. I have wanted to read Sculptor’s Daughter ever since I first learnt of its existence around eight years ago. Despite fruitless Internet searches, I could never locate a copy of the book which fell beneath £300. When I found out that the marvellous people at Sort Of Books, who are responsible for publishing a lot of Jansson’s fiction, were reissuing it in a gorgeous hardback edition, I was incredibly excited. I never preorder books, but this was the one exception to my rule. Jansson, as many of the readers of this blog probably already know, is one of the authors whom I adore the most. Her fiction never fails to astonish me with both its beauty and clarity, and it goes without saying that I absolutely love the creation which she is most famous for – the Moomins. Author Ali Smith’s introduction to Sculptor’s Daughter is wonderful. It is clear that she very much admires Jansson’s work. Sculptor’s Daughter is essentially a childhood memoir of sorts, told through a series of short stories. When opening the book, a lot of the titles seemed familiar to me, and that is because thirteen of the nineteen tales published within its pages can be found within Jansson’s A Winter Book. If I had known this beforehand, I still would have preordered the volume, as it does contain six stories which were new to me. Each of these is exquisite, like a tiny treasure in itself. 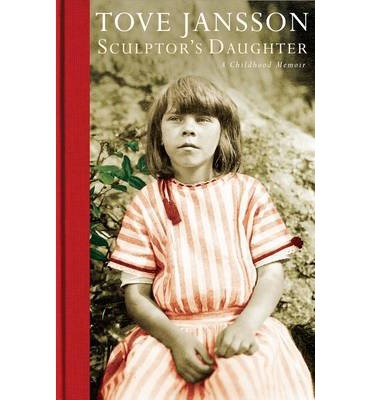 Sculptor’s Daughter has been beautifully produced, and the photographs throughout are lovely. My only qualm is that a couple of these were printed more than once, which was a little bit of a shame. It will come as no surprise, however, to say that I absolutely loved this book, and will be reading it many more times in years to come. I could not resist ordering a newly translated collection of short stories by one of my absolute favourite authors when I first heard about it, and I dove in almost immediately. Tove Jansson’s Letters from Klara is such a treat. Each tale was written whilst Jansson was in her seventies; one can see a marked shift between these contemplative pieces, and those of her younger years, which share an extremely perceptive vivacity. The stories within the collection are largely quiet and slowly paced, but they are all the lovelier for it. The blurb of Letters from Klara, in fact, describes them as ‘subtle’ and ‘light-footed’ stories, descriptions which I wholeheartedly agree with. Letters from Klara provides a wonderful breather from the hectic modern world. Its stories are varied and quite diverse, but humanity is at the core of each. A lot of the stories are about ageing and death, clearly subjects which become more pressing and important during Jansson’s literary career. Letters from Klara is neither her best, not her most memorable, collection, but it is absolutely filled to the brim with tiny gems, and gorgeously evoked slices of life which appeal to all of the senses. I thought I would produce a post for today which was a little less taxing than having to read through an entire review, and focus instead on that which has been largely neglected on The Literary Sisters to date – that of the humble illustration. I must admit that I still love books with pictures in them, even as an adult and a PhD researcher. When I flip open the pages of a Persephone book and see lovely illustrations alongside the text, I delight a little. There is just something so charming about them. Without further ado, I am going to post ten of my favourite book illustrations. I hope you enjoy this veering away from the literary! There are no great surprises here, I’m sure! Which are your favourite illustrations? Have I featured any of them here? First published in July 2013. Sort Of Books, who have already published five of Tove Jansson’s adult novels and story collections, as well as several of her Moomin books, have just released this new volume of her short stories, all of which are printed in English for the first time. The entire book has been translated by Thomas Teal, who won the Rochester Best Translated Book Award in 2011. This prize sets him in wonderful stead to translate one of Finland’s finest authors and to introduce more of her stories to a wider readership. Ali Smith, author of novels including The Accidental and There But For The, states ‘that there can still be as-yet untranslated fiction by [Tove] Jansson is simultaneously an aberration and a delight, like finding buried treasure’ – a sentiment which could not be more true. To build up such rich, detailed stories within just a few pages as Jansson does here is masterful, and Teal’s translation of her work is faultless. Art in Nature and Other Stories is a pure delight from beginning to end. It is an absolute joy to read and certainly reaffirms Jansson’s position as a wonderful storyteller and a master of her craft. The season is turning; trees are shedding leaves, the temperature is beginning to fall, and the Christmas decorations are already out in the shops. That can only mean one thing; it’s time to crack out the hot water bottle, vat of hot chocolate, and a stack of suitably wintry books. Below are eight recommendations which I think will be perfect to curl up with this winter.